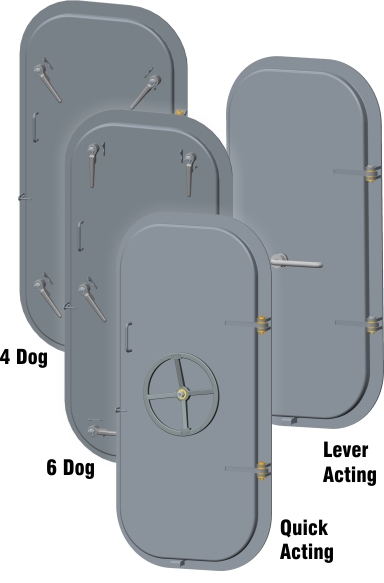 Available in three styles, 4 dog operating door, 6 dog operating door, and quick acting operating door. Various sizes available in each model. Please see product matrix below.